Reflection of Bosnian war survivors watching an online stream of Radovan Karadzic’s verdict. After a 7-year-long trial, Karadzic was found guilty of genocide in Srebrenica, war crimes, and crimes against humanity and sentenced to 40 years in prison. Sarajevo, Bosnia and Herzegovina. Dragana Vucetic, Senior Forensic Anthropologist of the Podrinje Identification Project, compare bones during process of collating body remains exhumed from mass graves and identified by DNA , in the identification center in Tuzla, 122 kms north of Sarajevo, Forensic anthropologist make the final determination on the identification of remains. 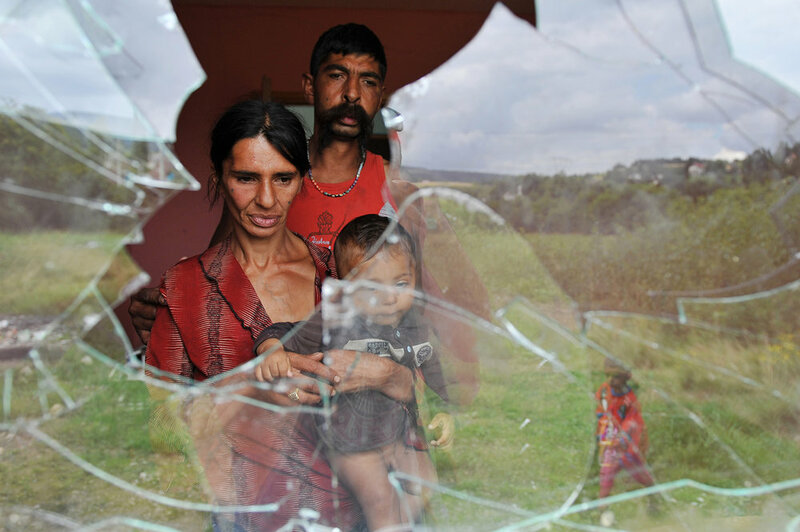 Roma family stands behind a broken window of their house where they were attacked by the local population in Osenik, which is located 20 km west of Sarajevo. 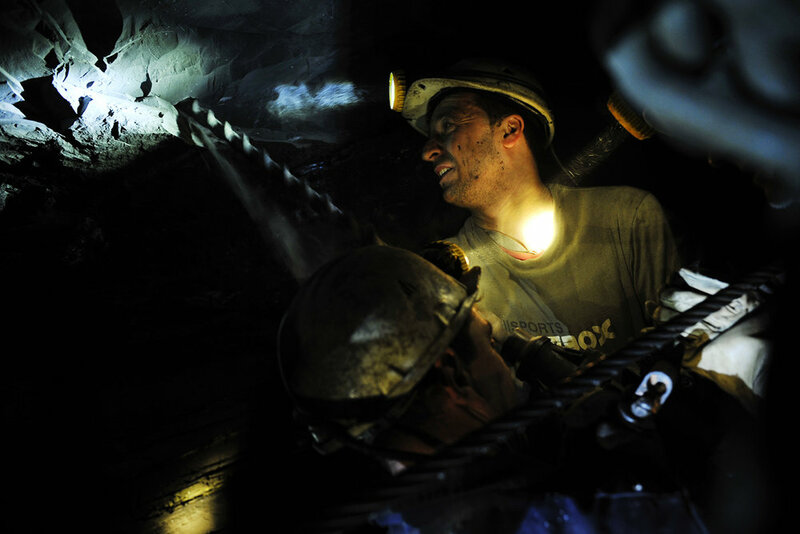 Coal miner in the Brown Coal mine "Breza" which is located 20 km northwest of Sarajevo. Hatidza Mehmedovic, a Bosnian Muslim woman survivor of the 1995 Srebrenica massacre,is looking at photos of her husband and her two sons who were killed during 1995 Srebrenica massacre. A Bosnian Muslim woman prays near the coffin of a relative, among 520 newly identified Srebrenica victims, which are stored in the abandoned hall of a car battery factory in Potocari near Srebrenica. The bodies were transported from Visoko and stored during preparation for Sunday's funeral of newly identified bodies of Muslims. Supporters of Bosnia and Herzegovina's national football team, celebrate at one of city squares in Sarajevo after watching the public live broadcast of the final World Cup 2014 qualifier match between Bosnia and Lithuania, played in Kaunas, Lithuania. Bosnian team won the match 1-0 and successfully qualified for the World Cup 2014 in Brasil. Car passes through the water next to the floods destroyed fields in the municipality of Bijeljina where is destroyed thousands of hectares of sown land. Over the past days, Bosnia and Herzegovina has experienced heavy rainfalls (largest amount of precipitation recorded in 100 years) which resulted in massive floods on the entire territory. 77 years old Ismet Comor speaks why they leave the Lukomir village while his wife Hatidza gives a cup of coffee to youngest son who has come to help them to get ready for the trip.